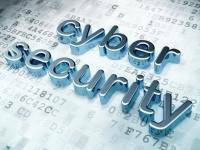 Computer security (Also known as cyber security or IT Security) is information security as applied to computers and networks. The field covers all the processes and mechanisms by which computer-based equipment, information and services are protected from unintended or unauthorized access, change or destruction. Code reviews and unit testing are approaches to make modules more secure where formal correctness proofs are not possible. Default secure settings, and design to “fail secure” rather than “fail insecure” (see fail-safe for the equivalent in safety engineering). Ideally, a secure system should require a deliberate, conscious, knowledgeable and free decision on the part of legitimate authorities in order to make it insecure. Full disclosure to ensure that when bugs are found the “window of vulnerability” is kept as short as possible.